On the 30th of October 2018 Will Gates presented his paper Resilience of Australian polymer-modified powdered sodium bentonite geosynthetic clay liners to downslope bentonite erosion at the 8th International Congress on Environmental Geotechnics in Hangzhou, China. 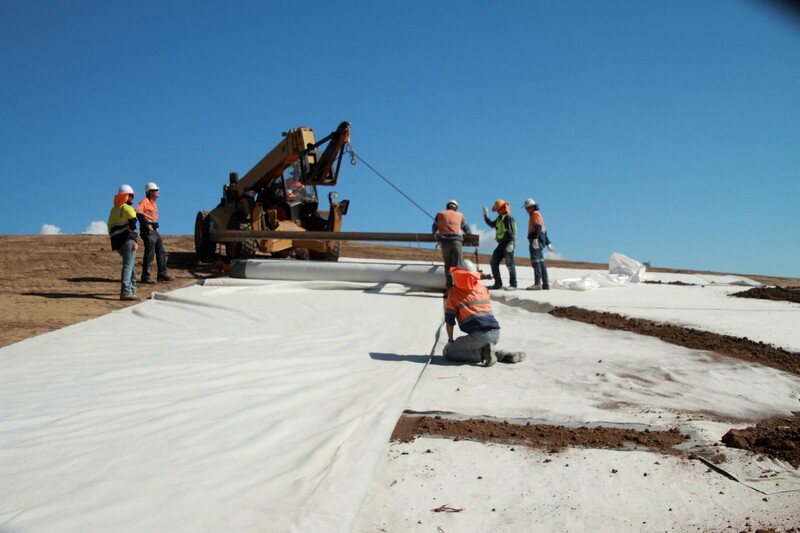 The paper, co-authored by Marc Amstberg and Daniel Gibbs, addresses loss of bentonite from geosynthetic clay liners (GCLs), installed as a component of a composite liner beneath an exposed geomembrane (GM) on the side-slopes of landfills and exposed to thermal cycling. This subject has become a topic of some importance recently as it raises questions on the long-term durability of modern landfill lining products. In his paper Will discusses laboratory drip testing that used to evaluate the resilience of four GCLs containing polymer-modified powdered bentonite against down-slope bentonite erosion. In the paper it is observed that onset erosion features were observed only after 60-140 drip cycles finding that in all probability the polymer-modified bentonite can be expected to self-heal if no further erosion takes place at these initial stages. A detailed assessment of the drip test and comparison with known field test results, indicated that the drip rate and duration of the laboratory test conducted at ≈22 ºC is equivalent to infield conditions where daytime temperatures of the GM/GCL may reach 65 to 75 ºC. Thus, meaningful accelerated testing of polymer-modified powdered bentonite GCL products is possible. The results need to be validated with infield tests under local conditions because recoverable service-lives of GCL products ultimately depend on the infield conditions where these materials are deployed.